It’s easy for a real estate company to tell you they are a family and that they will treat you as one of their own. For those of us at 525 Realty Group, we really are just that – a family. 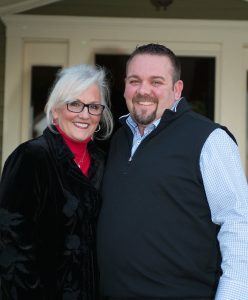 Benjamin Floyd, his mother, Mariana Lloyd, and his son, Rex Floyd have taken the family approach to buying and selling real estate in central Oklahoma. The 525 Realty Group experience focuses on a “One-Stop Shopping” philosophy to provide our clients with a worry-free experience. With 525 Realty Group, we don’t just help you buy or sell a home, we guide you through the entire process. The “One-Stop Shopping” philosophy allows each member of the 525 Realty Group team to use his/her specific skills and expertise to simplify the real estate experience. We focus on researching the market, scouting locations for builders to construct spec homes, and working with buyers on their needs. We also work with sellers to prepare their properties to go on the market and aid buyers with necessary renovations following the purchase of a home. 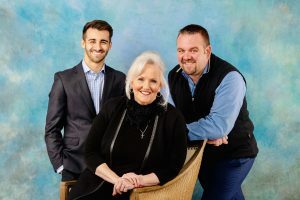 Benjamin, Mariana, and Rex put this philosophy to practice for themselves by purchasing and renovating the century-old home that now serves as the corporate office for 525 Realty Group – the historic Kivlehen House. Benjamin, Mariana, and Rex have closed tens of millions of dollars of real estate transactions and won regional and national recognition every year since 2003. Contact us today to learn more about 525 Realty and put our “One-Stop Shopping” philosophy to work for you.